Both of my boys have become picky eaters. Still, one of the items that they both enjoy is yogurt. We love this because yogurt is a great source of protein and calcium. When I took the little guy for his two year well visit in May, our doctor cautioned me about a lot of yogurts having too much sugar in them. Thanks to that, we started to pay much more attention to labels. A few months after this, I was asked by My Blog Spark and Yoplait to have my kids try Yoplait Kids which has 25% less sugar than the average leading kids’ yogurts. I immediately said yes because both of the boys had seen these in the store and begged me to try them. Hello, they have Dora, Blues Clues, Diego and the Backyardigans on them! On Halloween, we opened up the package for both of the boys to try. JSL had not been eating much recently (thanks to a febrile seizure two days earlier). He was not thrilled with the prospect of yogurt….until his little eyes saw Blues Clues. NHL, was ready to go the minute he heard yogurt and knew it was the ones we had bought earlier. He quickly finished his yogurt and asked for another. 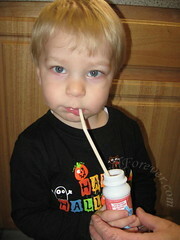 Meanwhile, the little guy was thrilled to have a straw to help in his plan of attack for the Blues Clues yogurt. When we tried to remove him from the kitchen to drink it, he refused. He stayed put and wanted to drink it there. Although JSL likes yogurt, he will often start eating/drinking one and then stop. So much food is wasted this way. I am happy to report that this did not happen with the Yoplait Kids yogurt. 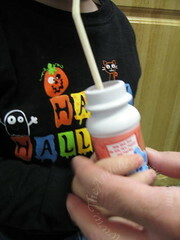 This yogurt was the perfect portion for a little guy and easy for his smaller hands to handle. Here is a closer view. We had to help him some because he was getting tired before nap time. The verdict: The boys really like the yogurt. They both drink it up and never leave anything that ends up being tossed. NHL has taken it in his lunch box to school several times. Just this morning, he asked for another one to go – definitely a plus with him since he does not like much that is easy to transport to school. We will definitely continue to have the Yoplait Kids yogurt in our yogurt buying repertoire. 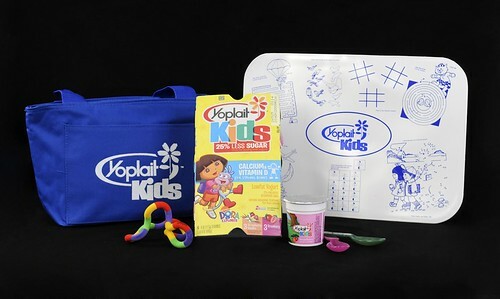 Two lucky winners will each receive their own "Yoplait Less Sugar, More Fun" prize pack. 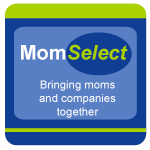 The prize includes a coupon for a Yoplait Kids yogurt of your choice, a travel cooler, a fun spoon that changes colors in warm water, a reusable place mat with games to keep the kids happy while snacking, and a fuzzy tangle for some after-snack fun. Please note: This coupon offer for a free six pack of Yoplait kids yogurt is not valid in some states including Idaho, Lousiana, Nevada, New Jersey, North Dakota and Tennessee. MAIN RULE – Answer the following question: How do you make snack time fun for your children? 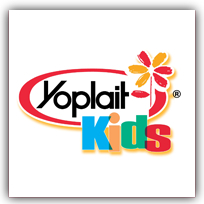 1 Bonus Entry – Which type of Yoplait Kids would be purchased for your kids and why? 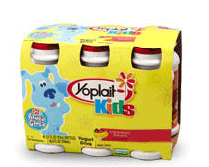 3 Bonus Entries – Write a post on your blog linking to my blog about the Yoplait Kids yogurt. Be sure to leave 3 comments about this to get credit for all of your extra entries. 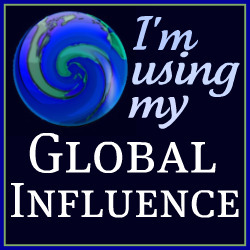 Disclosure: This review and giveaway was made possible by My Blog Spark and Yoplait. They provided me with the gift pack and coupon to purchase a package of Yoplait Kids yogurt. The opinions of this review were mine and I received no other compensation. I make snack time fun by including them in the process of making it. If they get to choose, cut their own shapes, etc… they tend to eat it better. I would purchase the Diego mixed berry because my kids love Diego. I commented on your New MADD Website post. My kids are good eaters so I don’t have to do alot to make snack time fun. HOwever they love to help making their own snacks and that way they want to eat it even more. .-= JamericanSpice´s last blog ..Testing The Ice: A True Story About Jackie Robinson =-. My daughter loves it when I freeze her Gogurt! .-= Mama Zen´s last blog ..The Snake’s Side Of The Story =-. I make snack time fun by giving my kids special bowls and giving them a variety of healthy snacks to choose from. I follow on twitter as frugalmomto4. I would choose banana (Backyardigans) because all four of my kids like banana yogurt and Backyardigans. I make snack time fun using cookie cutters. They love different shaped sandwiches, cucumbers etc. Please enter me in your giveaway. Thanks! I am also a subscriber to your RSS feed. And I would try the drinkable ones. I think the kids would love them. Thanks to everyone that entered. The giveaway is now closed and winners will be notified by e-mail later today.